My time at Notre Dame has taught me many things. However, the things I have learned most are 1) hands on experiences are the best way to learn and 2) people are key. There is absolutely no comparable alternative than getting involved and doing the work for yourself. It forces you to think on the fly, adapt to changes, and truly know your stuff. Theory-based learning in the classroom can only get you so far, before you must rely on the talents and skills that you have mastered and accurately execute them in the field. 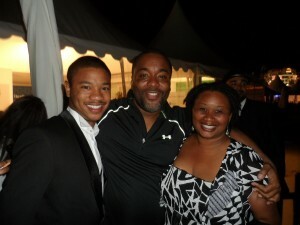 I learned this best during my trip to France this summer to attend the Cannes Film Festival. Everything I had previously thought about the movie/distribution industry was completely changed by my experiences there. 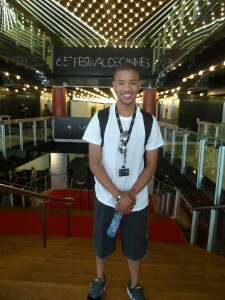 Inside the ‘Palais des Festival’ the main venue for screenings. wouldn’t even raise an eyebrow tomorrow. The industry changes with the times. Just as people grow and develop, and trends come and go; so too do the styles of movies change as well as the artistic choices made to produce them. Working in this industry is a daily grind. Nothing comes easy. Therefore, each member of the industry is constantly trying to connect with other professionals and sell themselves. 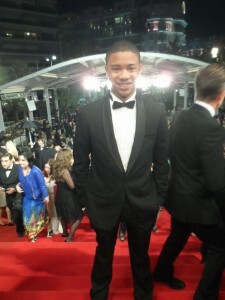 Every producer and director I met was there for one reason: to keep business coming. They were passing out business cards, showing their most recent projects, and setting up meetings with distributers and business professionals. The film industry is thriving and always moving, and therefore people working in the industry must do the same. I never realized how many movies are pitched, produced and distributed each year. During the festival, there were easily 200+ movies screened each day. Over a 15 day period, that totals nearly 3000 movies! The reason for so many movies is because distributors come to buy and sell films for the upcoming film season. The more movies they see, the better investments they can potentially make. As such, the festival functions as a well-oiled business machine. These producers, actors, directors, and independent film makers are here to solidify their positions in the industry, showcase their talent, and ultimately make money. Money is the name of the game. For onlookers, the festival is a great social outlet to see many great films, but to those deeply ingrained in the industry, it’s all about making money. Business lunches, dinners and private parties became prerequisites to further network and build relationships with potential buyers. While the city definitely catered to a lavish Hollywood lifestyle, it also had its drawbacks. Everything in the city was extremely expensive. The exchange rate was 1 euro to every $1.30 U.S. This meant that nearly 30% of my spending budget was used simply to exchange money from U.S. dollars to Euros. Additionally, because Cannes is a tourist city, food, beverages and attractions were heavily overpriced. I quickly learned that budgeting and always keeping track of the actual cost in U.S. dollars was key. I quickly learned to do simple math in my head to convert from euros to dollars to make sure I was okay with the price of the things I purchased. Additionally, I learned that I should have exchanged money back in the states before coming to France to avoid additional bank conversion fees. However, despite the expenses, the city itself was absolutely amazing. Being right on the water made waking up each morning easy as I was greeted by a breath-taking ocean view each day. The French Riviera was gorgeous with its beautiful beaches, traditional French hillside homes, and quaint cobblestone streets. Fashion was clearly important because each native I saw never missed the opportunity to look their best. Even the bus drivers and sanitation workers took great pride in their jobs and dressed to impress. Yachts, cruise ships and luxury cars were around every corner. Food was another showstopper here in Cannes. There were many open-air markets that provided fresh produce to the local restaurants. Also, because Cannes is a coastal city, access to fresh seafood was no problem. All in all, I can clearly see why Cannes has had the privilege of hosting the festival each year. This is a great city for negotiating expensive, multi-million dollar business deals. These lessons, among others were valuable things I learned during this short 15 day festival in France. However, it is because of these lessons that I start this school year much more level headed and self-aware than I was only a few months ago. I experienced much personal growth during this trip. First, I learned a lot about myself. I realized that I don’t really want to make, write, or edit my own films. Instead, I would prefer the role of a producer. Overseeing budgets, scouting locations, organizing shooting schedules, and negotiating hiring and firing are much more my type of work. Finding funding for movies and making movie pitches to potential investors would give me more of a thrill and challenge as I grow in this industry. I’m willing to leave the creative visionaries their space to create, while I provide the best resources for them to do so. As I move forward from this experience and think toward the future, I have very concrete, specific ideas in mind. First, I will continue seeking out more opportunities like this. It will help me learn more about my likes and dislikes in this industry and teach me more about how the industry currently works. 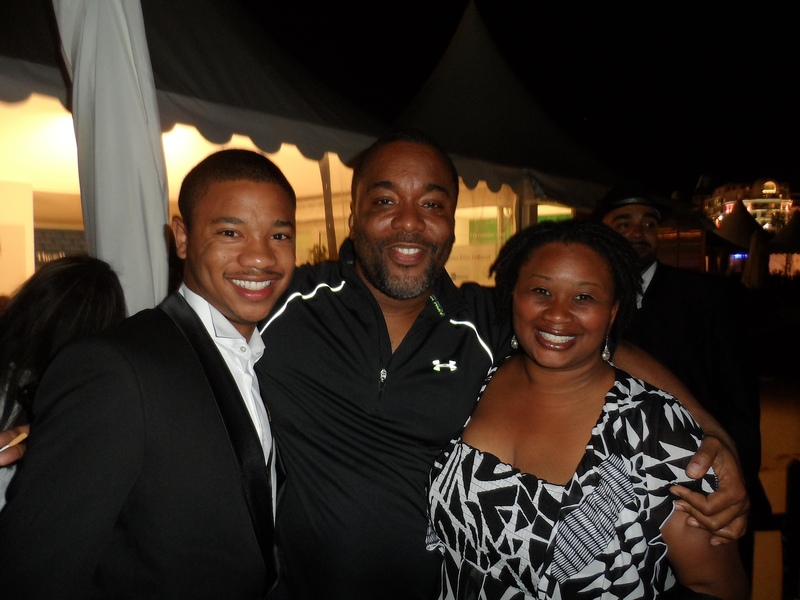 Additionally, it will help dispel Beach party with Director Lee Daniels from the movie “Precious” & “Paperboy” any myths or preconceived notions that I have and replace them with reality. Secondly, I will get experience working as a producer. Taking production classes and working with different offices on campus that might need content produced will give me this exposure. I need to learn how to find funding for projects and learn to refine my pitching skills and sell ideas. Anything that has leadership and organizational components will be great for me to pursue. Finally, I need to continue to ask questions, job shadow, get involved and make it happen! 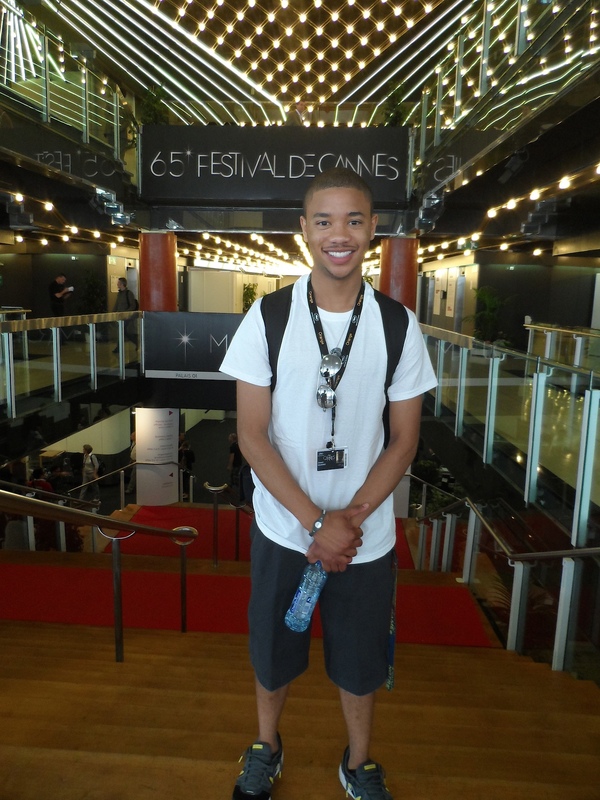 I had an amazing time in France this summer and I am so glad I had the opportunity to experience the 2012 Cannes Film Festival. I learned a lot about the industry, international travel, and most importantly, myself. I dispelled many myths about the industry that I previously held and I have created a plan on how to continue to pursue my dreams. I would like to express my appreciation to Multicultural Student Programs & Services for funding my trip and providing the much-needed support that I needed. I can’t thank you enough and I truly hope that as I continue my quest to achieve my dreams, I can find a way to give back to those who helped me out along the way.